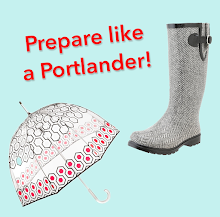 This Portland day trip takes you west on I-84 to Multnomah Falls, then leisurely backtracks to the Vista House at Crown Point and to McMenamin's Edgefield for lunch. 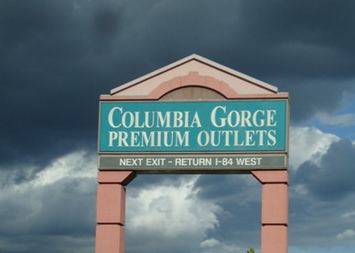 Extra time even allows for a little tax-free spending at the Columbia Gorge Outlets. Here is your map. 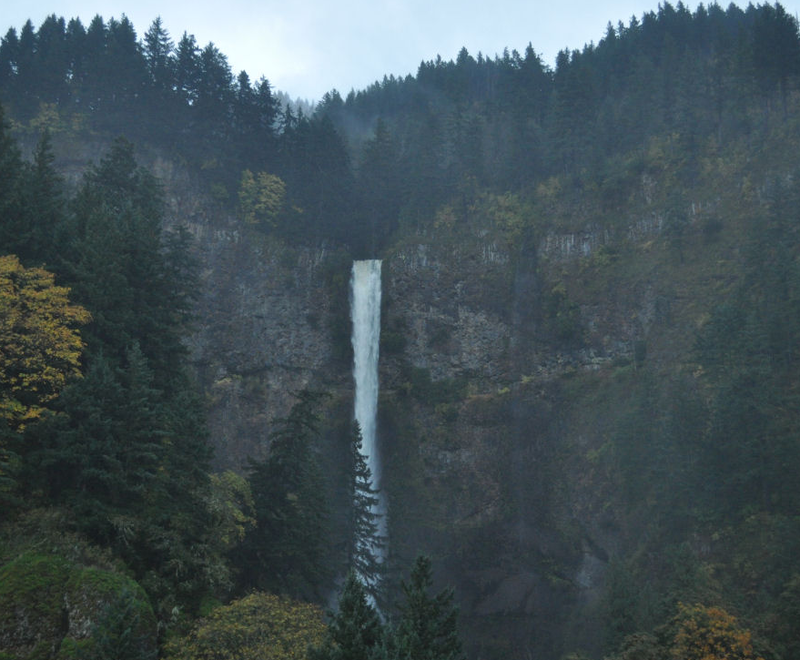 The "tough" part of this trip is the drive to Multnomah Falls, which lasts about 40 minutes. However, this Historic Highway allows for plenty of breathtaking scenery along the Gorge. Your parents will dig the beauty of the dramatic cliffs and lingering mountain fog, even if it's pouring buckets outside. Of course the real reward is the Falls. At 620 feet high, only three falls in the nation are bigger, and none are more beautiful. Fed by underground springs from Larch Mountain, the water flow over the Falls is usually it's highest during winter and spring. Thumbs up for rain! After taking the requisite tourism photos, hop back in the car and head to Exit 18 to visit the Vista House at Crown Point. 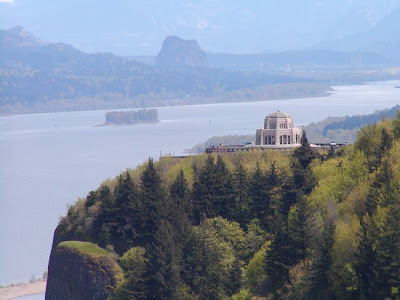 This beautiful building was built specifically as "an observatory from which the view both up and down the Columbia could be viewed in silent communication with the infinite." And here I was just going to say, "This place has a nifty gift shop." 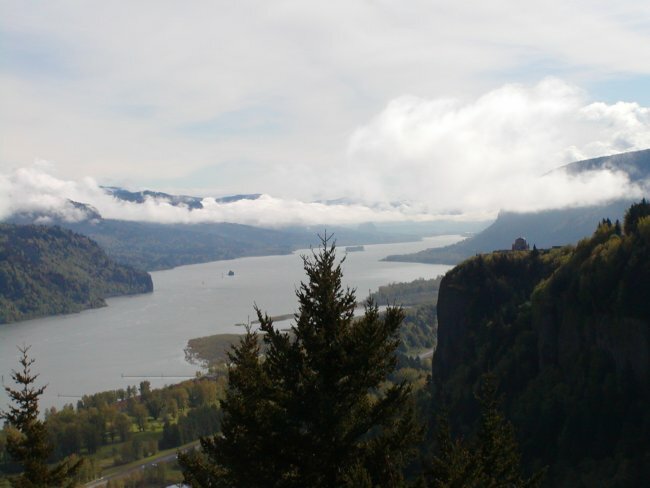 Either way, the Vista House is a great place to go after visiting Multnomah Falls as it's warm and dry. A word of warning: the Vista House is only open during the winter on the weekends from 10 AM to 4 PM. 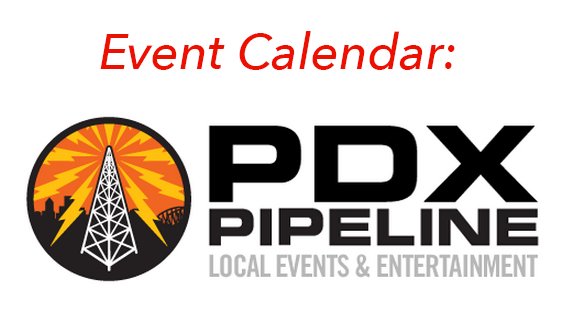 You can find more info on their website. 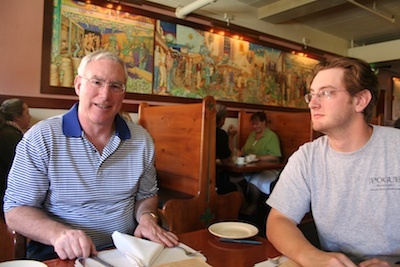 One your way back to town, assess how tired your parents are and nudge them towards a quick trip to the Columbia Outlets. They are not the best outlet stores ever, but they are tax-free and on your way home. You'll find a couple kitchen stores, a Gap, and an Adidas, so it's not all bad. Finally, it's time to eat. 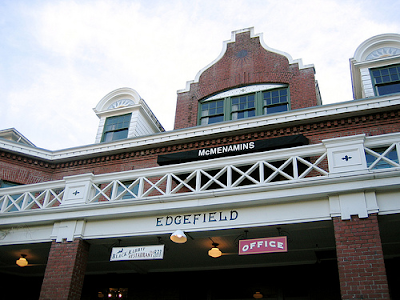 McMinamen's Edgefield sits on beautiful grounds and has an interesting history to boot. There is a restaurant here with fantastic murals tracing the history of the Edgefield and the Columbia River Gorge on the walls. The food is decent and a nice winter ale will taste so very satisfying after being in the car for the better part of the day.